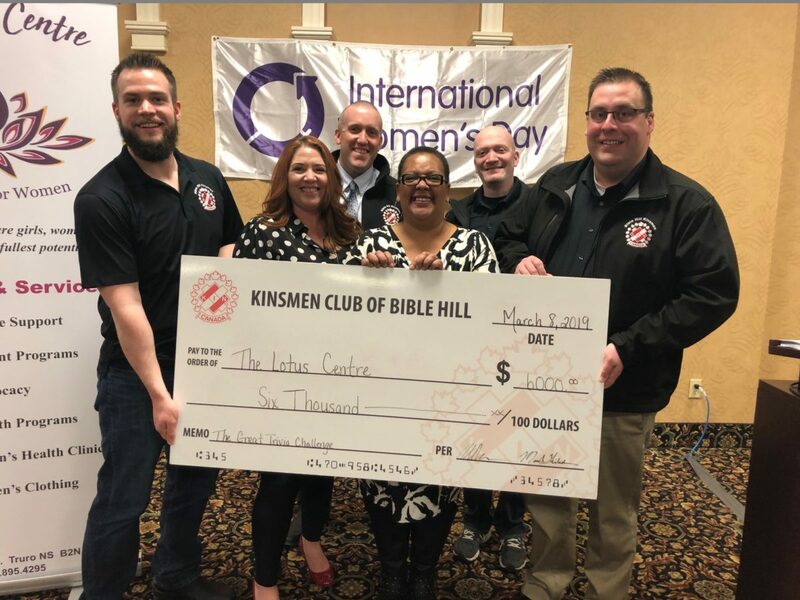 The Bible Hill Kinsmen attended the 2019 International Women’s Day luncheon at the Best Western Glengarry today, where the club made its donation to The Lotus Centre from the proceeds of last weekend’s Great Trivia Challenge. This is the second year the club has supported the Lotus Centre, with funds going towards the summer Girl Power camps. Thank you to EVERYONE who supported our Great Trivia Challenge in some way. The rest of the funds will go into various Kinsmen initiatives in the local area. Previous Previous post: The 6th Annual Great Trivia Challenge is in the books!